And the CEOs are not alone. According to the same study, 69% of the marketers surveyed felt that their strategies and campaigns do make an impact on the company’s business, but could not precisely quantify or prove it. How can we expect the C-suite to understand the value we bring, if we are not able to quantify it ourselves? We need to a way to tie marketing programs and campaigns back to what really matters to the C-suite and stakeholders, mainly customer demand, sales prospects, conversions, revenue and EBIT. Thankfully, there is: Iterative Marketing. Iterative Marketing is a methodology comprised of six fundamental truths and six actionable components that make up a framework to keeps our marketing activities focused, measurable, and continuously improving. By implementing the sixth actionable component of Iterative Marketing, marketers are enabled to track the business effectiveness of their programs and campaigns. The final component, reporting and feedback, uses data and insights to drive program decisions, as well as influences overall organizational strategy moving forward. It also enables you to show quantitative proof that business growth is directly tied to your programs and campaigns in a way the C-suite understands. Outlined below are four specific ways you can tie your marketing efforts directly to top-line growth. 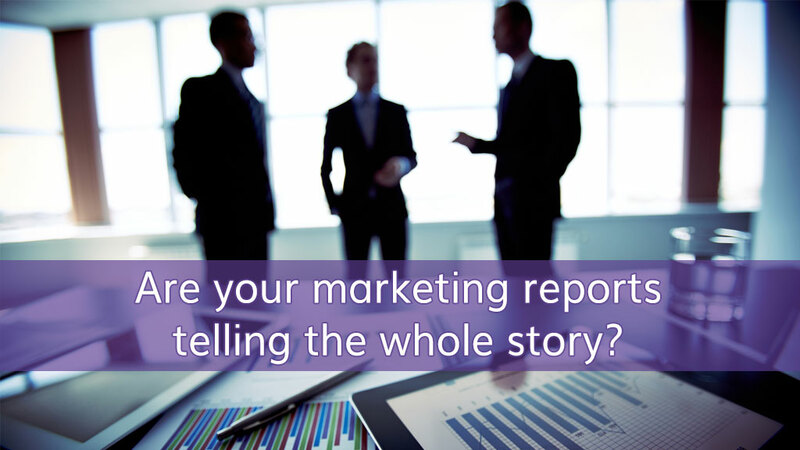 One of the issues with reporting performance numbers to executives is the lag time. This month’s revenue numbers are the result of marketing campaigns or programs that were started 6-12 months ago. By the time you are able to report on the effectiveness of a program, that program has (very often) run its course. We combat this by connecting the revenue to key performance indicators. A little bit of research should help you identify the correlation between your marketing conversions (like product demos, free trials, sample requests) and revenue. Once you understand the relationship between your KPI and revenue, you can report on forecasted future returns of your marketing program. While being able to quantitatively report on the effectiveness of a marketing program is a step in the right direction, it is only the first step. According to 10 Great Expectations: What CEOs Want From Their CMOs, today’s CEOs want more than just ROI – they want innovation, and they want to know what the customer wants. A tall order, for sure, but not impossible. While the raw data alone is helpful, it is the insights that we generate from our experiments, optimizations and feedback loop that provides the data-driven intelligence needed to move our operations and overall strategy in the right direction. For example, if you work for a software company and your primary product helps businesses run more efficiently internally and communicate better with their clients, you have two key benefits. Which is more important, and to which stakeholders? If you ran thoughtful experiments targeting different personas with messages highlighting each benefit (internal efficiency vs client collaboration) you would learn which personas valued internal efficiency over client collaboration and vice-versa. This insight could fuel future product development, sales scripts and messaging, customer service, or even the entire direction of the company. Getting relevant and timely business insights into the hands of decisions makers allows the organization to set priorities and make trade-off decisions based on fact and not instinct. A number means very little without context. In other words, if I tell you that Company X lost $5,000 in Q4, that sounds like a bad thing. But if I tell you that Company X lost $35,000 in Q2 and $20,000 in Q3, it shows that this company is rapidly on a path to profitability and the management team is doing a fabulous job of righting the ship. Conversely, if I tell you that a lead-gen program produced 200 leads this month at $75 per lead, that might sound like a great win. That is, unless I tell you that last month the same program produced 300 leads at $60 per lead and 450 leads at $55 per lead the month before that. If we are properly practicing Iterative Marketing, we are continuously improving. This improvement, when reported, generates all but guaranteed credibility with the C-suite. As marketers, we are tasked with promoting and building awareness for the company and its products and/or services. While reporting on the revenue attributed to past marketing programs is important to show how what we have done has added value, we also need to report on how we are positioning the company for future growth. And we do this in terms of long-term assets. In marketing, long-term assets are comprised of our brand, our content and the data we have collected. When a brand provides a competitive advantage, it becomes a marketing asset.To be a marketing asset, the brand must focus on strategic efforts that drive long-term profitability in the future. We measure this by looking at overall brand awareness, how our customers perceive our brand, and if these have changed over time. The second asset is content. Once built, it can be reused or recycled to acquire new audiences, nurture prospects, and engage current customers. The final long-term asset is data. This comes in the form of first-party data, the most cost-effective and reliable form of data as it is collected from our own customers and prospects. We report on this in two ways – our known audiences (anyone in our contact database) and our addressable audiences (anonymous online visitors that we are able to reach through retargeting methods). Understanding the success and failures of our marketing efforts is crucial when planning future marketing programs. However, it is also critical in demonstrating the value we bring to the organization. By measuring and effectively communicating the incremental demand our programs create, we reinforce our credibility, prove effectiveness and make our professional lives a lot easier.